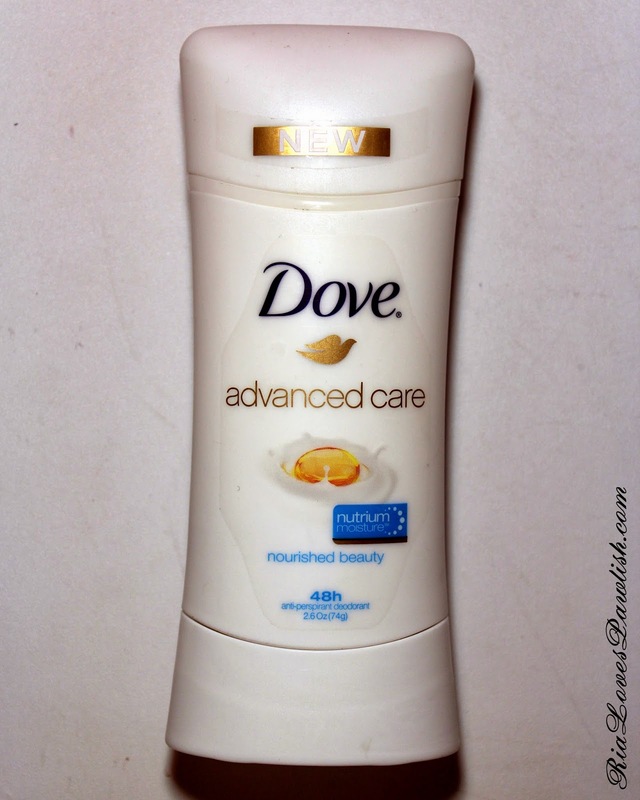 today i wanted to review Dove Advanced Care Deodorant which i received in the Dove Influenster VoxBox! i've never reviewed a deodorant before, and i wasn't sure whether i would want to review this one or not... but i'm REALLY impressed! and here's a look at the actual deodorant! 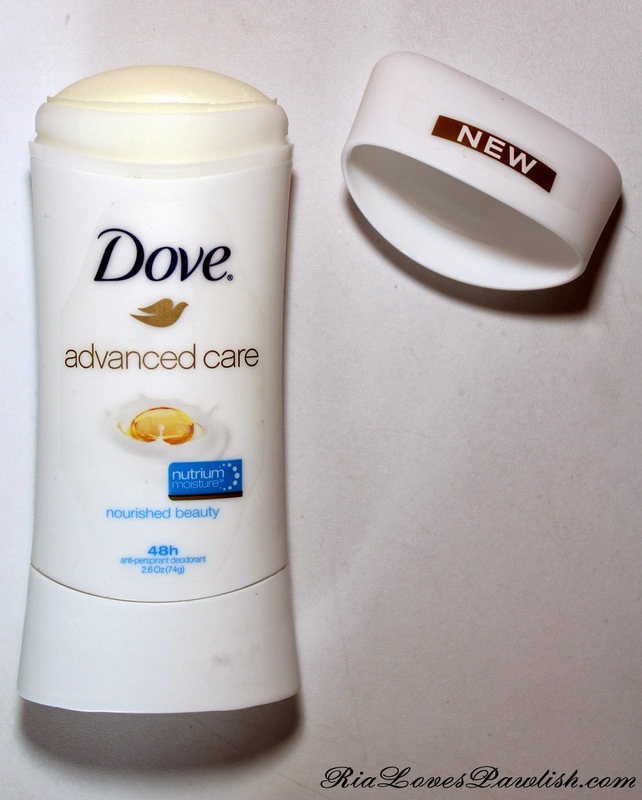 i received Dove Advanced Care Deodorant in the scent Nourished Beauty, which smells pretty perfumey, as opposed to many deodorants which smell either fresh or floral. it does a great job at keeping you smelling good, even when exercising! the disappointment in this deodorant for me is that it does not have that high a level of anti-perspirant (only a 15.2% level of Aluminum Zirconium Tetrachlorohydrex GLY), so if you sweat a lot (like i do!) you will probably sweat through it, especially when exercising (but the deodorant part is great... you may be sweaty, but you won't be smelly). however, the bad is so far overshadowed by the good! it has NutriumMoisture in it, which really improves the appearance and health of your armpits. i, quite frankly, never thought much about armpit health, but mine look so much better after using this for a couple weeks! it even helped a bump that i've been trying to get rid of for a long time to shrink majorly. i'm a definite fan of this product! i checked at Target and Dove Advanced Care Deodorant does come in a variety of scents, so hopefully there will be one for you! you can find it at most drugstores for under $7. 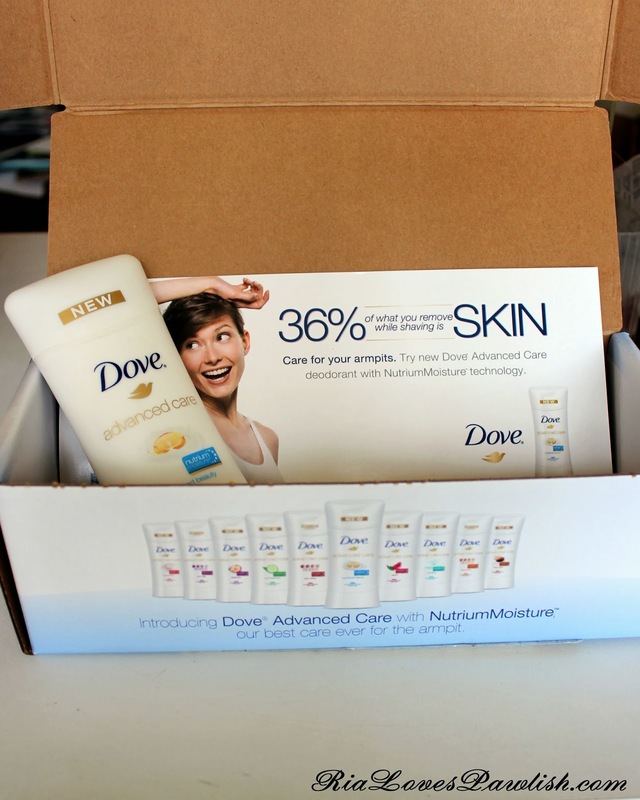 check out Dove's Facebook page here! Hey! Id love an invite!